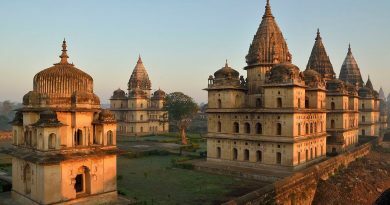 Travellers, heritage enthusiasts, runners and visitors participating in Go Heritage Run – Orchha this December will run through this 16th Century town when it is at its prettiest – in the early dawn hours. 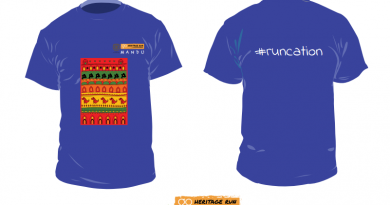 And the Orchha 2018 run t-shirt has been inspired by exactly that – Sunrise at Orchha. 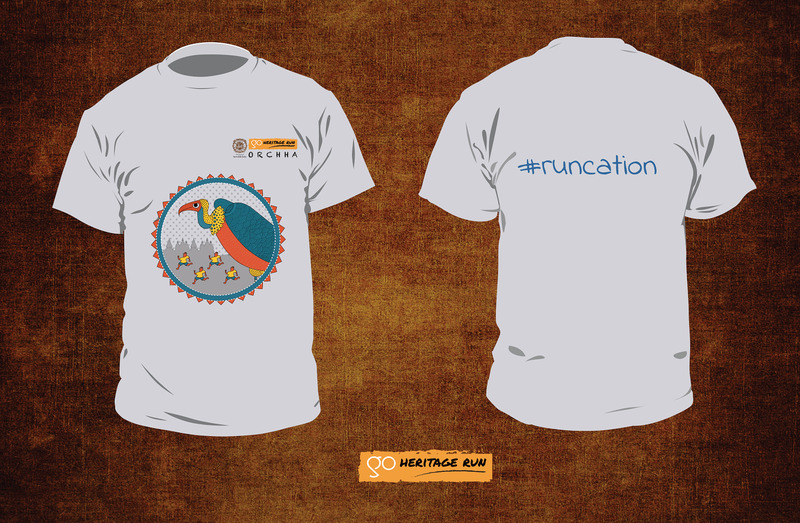 The gigantic cenotaphs as seen from across the river Betwa, the omnipresent vultures who many may consider to be just as stately and static as the cenotaphs they call home and runners taking it all in – are all represented on the t-shirt within a circular, sunny frame. All the illustrations in the design take stylistic cues from the figurative and narrative Gond art popular among the tribal community in Madhya Pradesh and surrounding states. 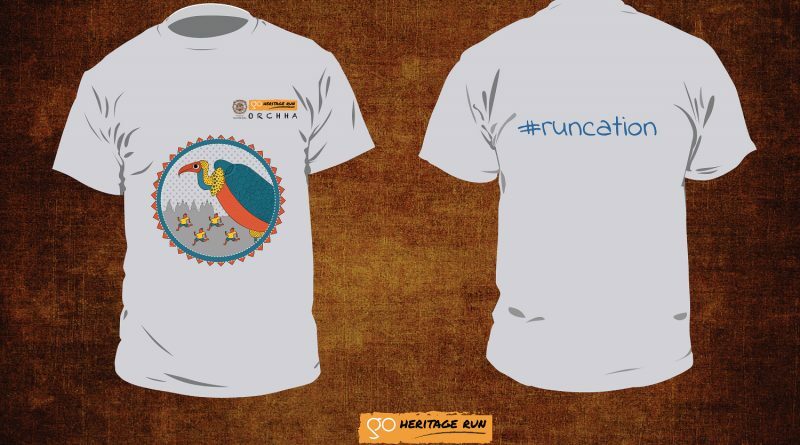 Design themes for the run collateral for the Orchha heritage run, as well as the upcoming runs at Mandu, Pachmarhi, Khajuraho, Gwalior and Pench will all incorporated Gond art as well as animals and birds associated with these destinations. 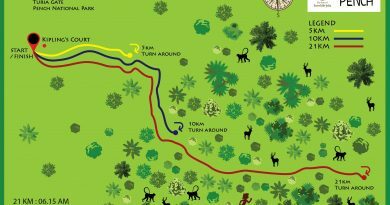 The endangered Indian vulture was the chosen for the Orchha run collateral since the town is home to one of India’s few vulture sanctuaries and visitors with a keen eye will easily spot them roosting silently atop Orchha’s chattris.